Ann Gallelli, Brian Pugh and Maria Slippen, who are running as a slate for the three seats on the Croton Village Board of Trustees up for election this year, have won the support of the Working Families Party. 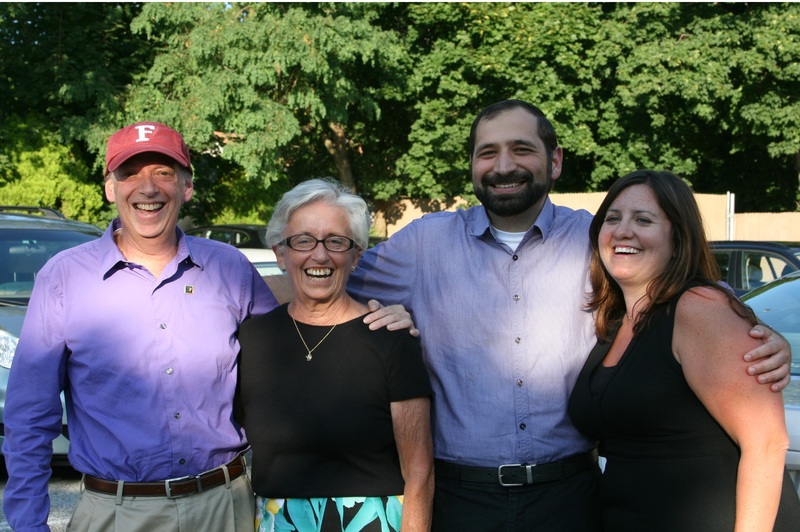 The Working Families Party’s support is further proof that the Gallelli, Pugh and Slippen slate are the true progressive choice for the Village of Croton. Gallelli, Pugh and Slippen will also appear on the Democratic ballot line in the November Election. “I have known Ann Gallelli and Brian Pugh for many years and have been truly impressed by Maria Slippen’s service as a Village Trustee. I have no doubt that they will be faithful servants of the public and powerful advocates for working families—moving our village forward while protecting taxpayer dollars. I will be proud to vote for them on November 4th” said Peter Feigenbaum, Westchester-Putnam County Working Families Party Secretary and Croton Village Resident. “I am grateful for the Working Families Party’s support today just as I valued their support in the past. The WFP has been a strong advocate for middle class families. I am glad the Working Families Party recognizes that I will continue to stand with the middle class,” said Ann Gallelli. “I’m humbled to have the support of the Working Families Party. Over the years, I’ve worked closely with the Working Families Party on issues ranging from protecting Social Security to balanced economic development. I will continue to stand for social justice and economic security for everyone in our community,” said Brian Pugh. “I am honored to be endorsed by the Working Families Party. As a working mother, I appreciate the economic pressures that families are under today. As a village trustee, I will make sure the Croton remains a place for middle class families,” said Maria Slippen. Ann Gallelli is a 40 year village resident, has served on the board of trustees since 2006 and is former Chair of the Croton Planning Board. Brian Pugh is a native of the Village of Croton, works at a renewable energy company based in Westchester and helped organize the 2011 referendum campaign that moved village elections from March to November. Maria Slippen is the mother of two girls in the Croton schools, serves on the boards of numerous community organizations including the Croton Caring Committee and the Croton Arboretum, and has been a Village Trustee since 2014. ← Toughkids Triathlion REGISTRATION CLOSES WEDS SEPT 3rd! These statements don’t sound like empty political statements. They sound like they come right from the heart and are alive with enthusiasm, energy and commitment. Their experience and skills are far and above any we’ve heard about from the opponents. As a matter of fact, we haven’t heard any particulars from their opponents about skills, plans, hopes, dreams!